Chocolate Tree is one of only a handful of companies making chocolate from the bean in the UK and in the short time they’ve been doing it, they’ve produced some of the best chocolate in the world. 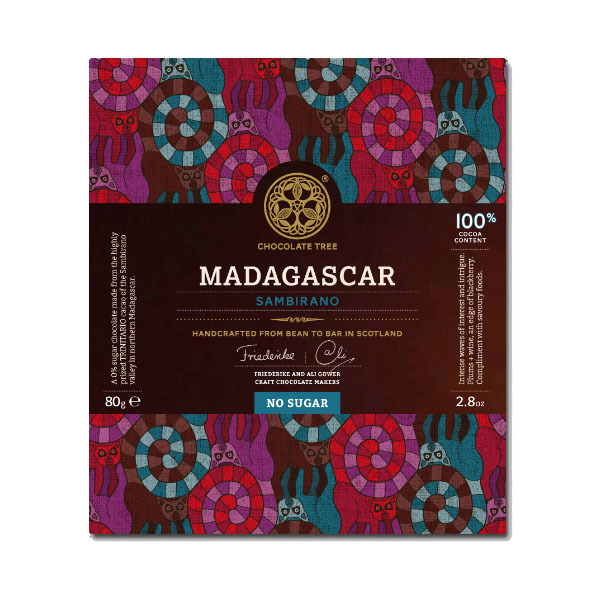 With a café and shop in Edinburgh and a small kitchen and factory a few miles away, they produce this chocolate in small batches from fine Madagascan cocoa beans. This is an intense, earthy 100% bar, which possesses the distinctly delicious notes of berry fruits that we would expect from any chocolate made from Madagascan beans.